The Netherland’s newest Formula One sensation Max Verstappen visited Playseat to sample their racing rigs and Slightly Mad Studios’ Project CARS title. 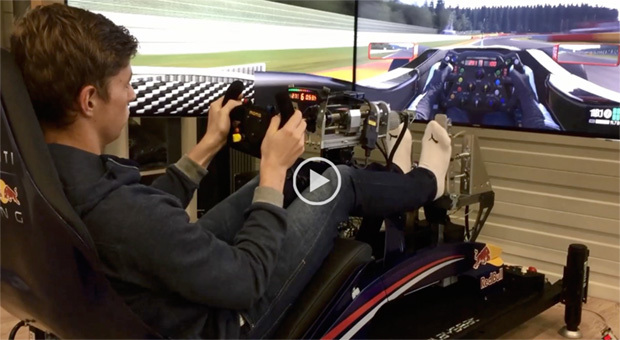 In between the Formula 1 GP’s of Hungary and Belgium, the Netherland’s newest Formula One sensation Max Verstappen visited Playseat to sample their racing rigs and Slightly Mad Studios’ Project CARS title. Thankfully, the Playseat folks have shared two videos of Max in action in the office, showing the Formula One driver in the Playseat F1 Red Bull rig, using Project CARS’ Formula A car. Just 17 years of age, Verstappen is the youngest ever driver to compete in Formula One. Driving for Toro Rosso, Verstappen has already earned 26 championship points in 11 starts. Click the image below to get to the two videos showing Max in action! Can we all chip in and buy Pierre Gasly an iRacing subscription? Can we all chip in and buy you a ticket to Antarctica? Yes, I’ll practice my iceRacing. Just testing in a hosted session. Indeed. 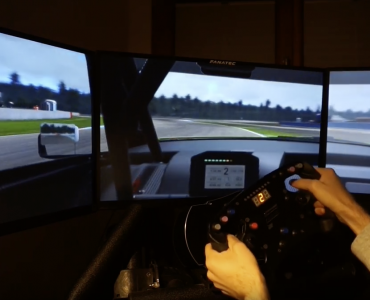 Also, when such a high profile driver can practice and prepare himself for real races using his home sim, instead of the professional grade sim of his team it really shows how far commercially available sims have come in the last few years and how they are very valid training tools. He is spending loads of time at home on his simulator. He joined Team Redline recently. There has even been an internet article on the Netherlands’ public broadcasting channel website about the fact he’s simracing. He was practicing in rFactor 2 in the piece the BBC did for Spa. That was rFactor 1, but he has a new rig + rFactor 2 now. 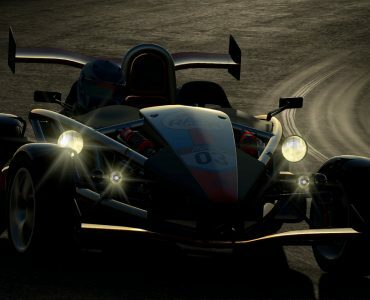 These posters that like to hijack every pcars, and assetto corsa news post on every sim racing blog sites, like virtualR, bsimracing, and now on steam, remind me of the bots that used to post on every youtube assetto corsa videos about xmotor racing. The thing is on steam, they are driving potential customers away from ISI, you can read the overwhelming negative comments about rfactor 2 on steam, because of the person above your post, and rfactor 2 isn’t on steam yet, if there’s one thing people hate with a passion, is a ultra fan boy, that keeps posting the same boring links from a no name garbage website that has no credit let alone the comments they are linking to, like pretend race car, what ever that garbage site is called. I’ve no idea what you’re going on about 🙂 Max has been in the ‘news’ recently and been shown driving a variety of things, it’s just interesting who’s jumped on the bandwagon to try & promote themselves. 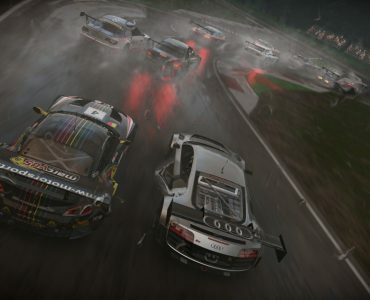 I’m a little surprised that the first vR post is a pCARS article, or am I… 😀 Personally I don’t see what the big deal’s, many drivers have ‘come out’ about their sim-racing. Off the top of my head, Barrichello GSC and IIRC SimBin titles (along with Sutil), Vandoorne rFactor, iRacing a lot of American drivers (and the likes of Stanaway etc.). Even nKPro had some real world drivers. I think if the headline was ‘look 17yr old plays racing games’ it would be a lot less exciting, but ‘look Max Verstappen plays our game so it must be good’ is more beneficial PR wise. The open wheelers in pCARS are wonderful and guys like Max can bring out the most of what it’s capable of. If he is also using rF2 well then that’s great. I can see Melanie’s point though and all the crap that was spewed over Rene’s pCARS videos. He doesn’t use PCARS though. He’s been using iRacing, hence his tweet at twitter.com/max33verstappen. If he used PCARS as well then that’s great, but he doesn’t. 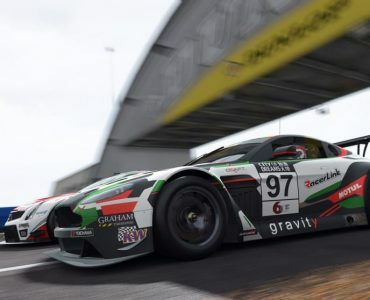 I’m not sure which rock you have been under but this has been a big story in sim racing for the past month – yet it only makes VirtualR when PCARS gets in on the action. Max doesn’t use PCARS at home, so for most sim racers the story here is not that he had a go at PCARS one time. The selective reporting on this site is becoming embarrassing, I just hope it improves once the PCARS 2 funding window closes, but I believe a lot of people have moved on to more reputable sites already. I’m sorry that having to endure six pCARS-related stories in the past month (!) has been such a terrible burden for you. It’s what is missing that is the problem! Did you honestly think an F1 driver joining a sim racing team was not news worthy… yet when he has a quick go at PCARS it suddenly makes a headline. Please. What a horrible FOV they put on there. Yep, one would believe that they at least could adjust the POV as good as possible when presenting/showcasing new equipment for sim rigs. FOV was so bad it was hard on my eyes. Total amateurs. I don’t see what’s wrong with it? What kind of Wheel is that? Frex?